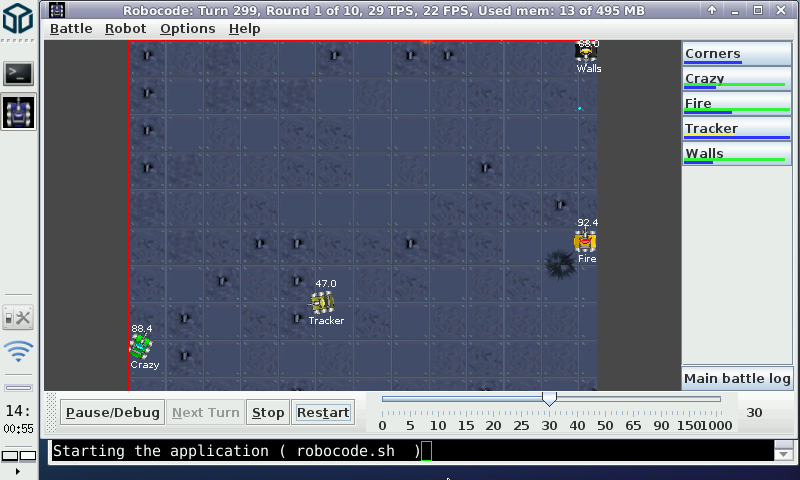 Robocode is a programming game, where the goal is to develop a robot battle tank to battle against other tanks in Java or .NET. The robot battles are running in real-time and on-screen. 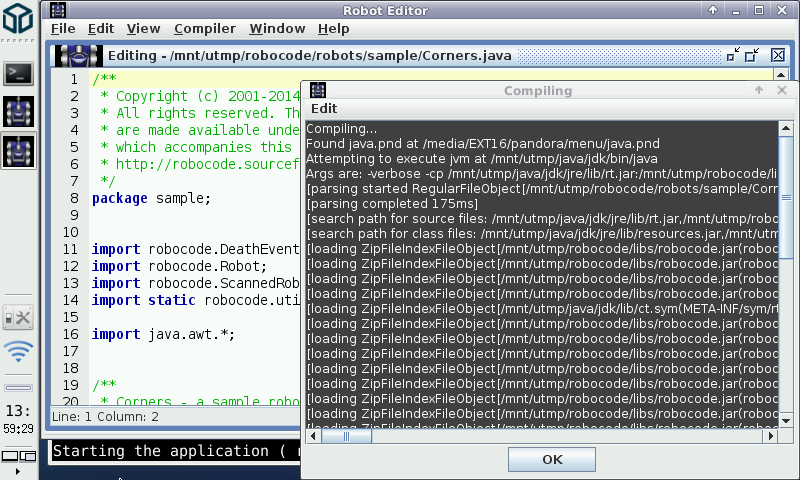 The motto of Robocode is: Build the best, destroy the rest! This app requires java to run. .NET functionality is disabled. Sorry for the re-upload, screenshots didn't show up at first.